It’s astonishing how many people overlook crucial building blocks of the Net Promoter System. And yet, they're baffled when they're not getting the results they hoped for. To put an end to this madness, this 17-page overview covers the six most common mistakes we’ve come across. Including actionable advice to quickly overcome these mistakes. ✔ Get better results from your Net Promoter program. 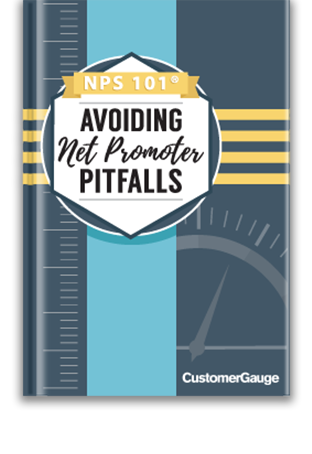 ✔ Pinpoint what prevents you from reaching Net Promoter Success. ✔ Strengthen your NPS efforts with step-by-step advice. ✔ Become a Net Promoter superstar.